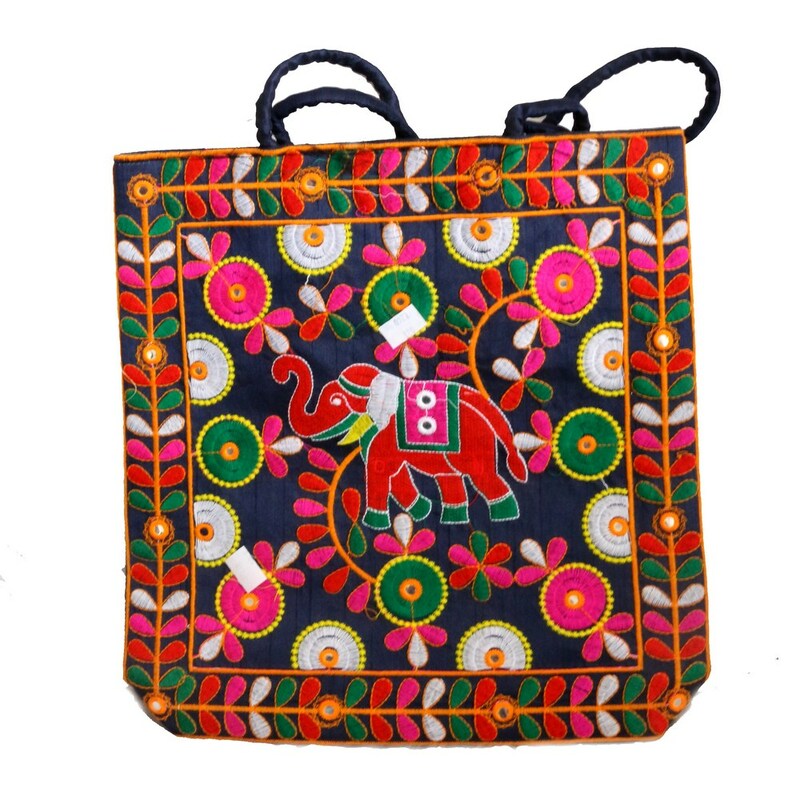 This Indian Handcrafted with Love Bag is very stylish to look at and at the same time serves the purpose quite well. It has a Read More..small rope like handle to help you carry shopping items. This spacious bag is detailed with red, white, green, pink and black colours, all playing together to give it a brilliant effect. Show Less..